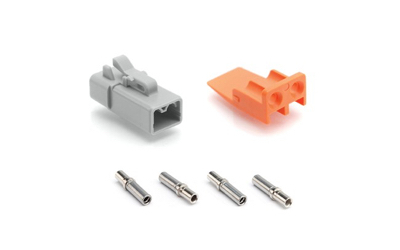 ATP Series™ connectors are designed as a high-performance, cost-effective, thermoplastic solution to be used within the Marine, Heavy Equipment, Agricultural, Automotive, Alternative Energy fields, as well as other demanding interconnect applications. 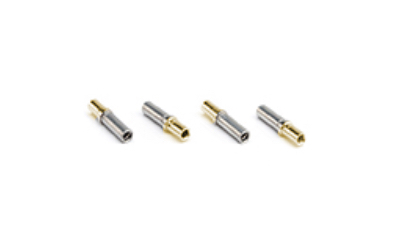 Available in 2 and 4 position options, the ATP Series™ Connectors contain superior environmental seals, seal retention capabilities and are designed for use with 10-14AWG with size 12 contacts handling up to 25A. 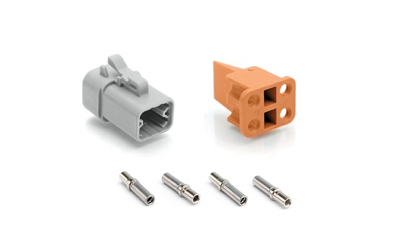 ATP Series™ connectors are compatible with other existing standard products industry-wide. -55°C to +125°C. Continuous at rated current. No unlocking, unmating or other unsatisfactory results during or after 50 G’s in each of three usually perpendicular planes. 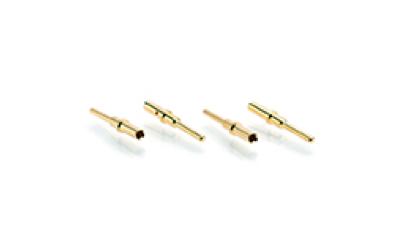 No electrical discontinuities longer than 1 microsecond. MIL-STD 202. Method 213, Condition “C”. 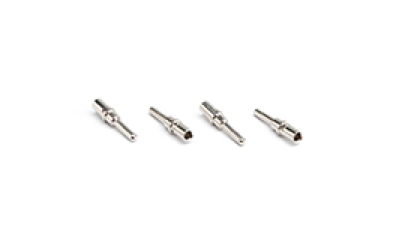 Connectors show no evidence of corrosion after exposure to 48 hours of salt spray per MIL – STD 1344, method 1001. IP67. Wired and mated connection will withstand immersion under three feet of water without loss of electronic qualities or leakage. 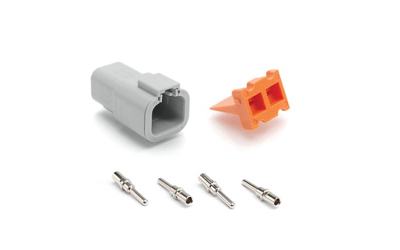 Connectors show no damage when exposed to most fluids used in industrial application. 70lbs. for Size 12 contacts. 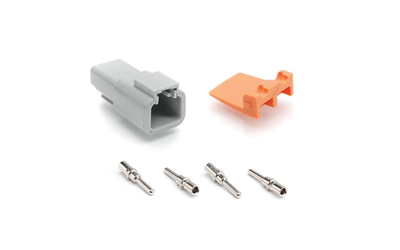 No cracking, chipping or leaking after 20 test cycles from -55°C to +125°C.